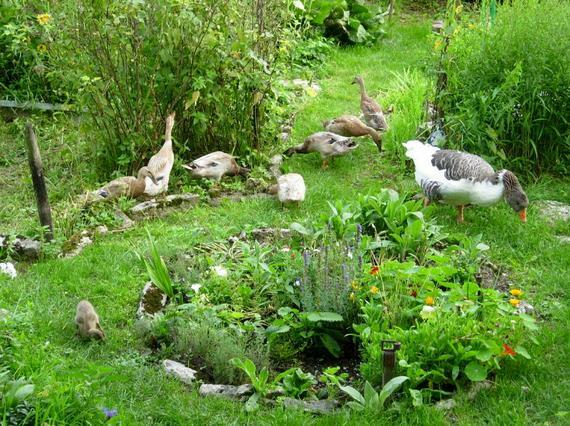 Until recently, I was clueless about permaculture and its value in today’s world. However, ever since my son and I have started on our course of volunteer learning, we have been privy to the principles of living a sustainable life. For my son, especially since it has been a learning about the essence of mother earth. A mind-expanding trip where the value of each living thing cannot be ignored. We are interconnected to one and other and to mother earth. The concept of permaculture was developed by Bill Mollison and David Holmgren coined the term permaculture i.e permanent culture in the 70s. 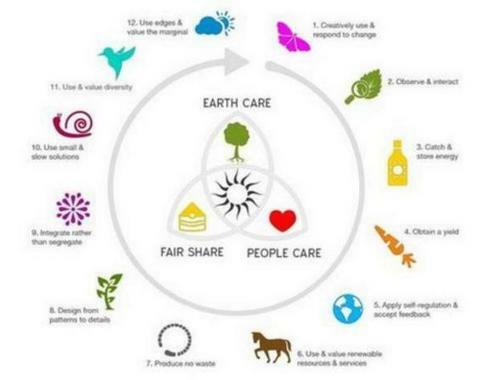 The essence of permaculture is to make humans part of natural cycles and processes again, so we can make use of nature efficiently. By understanding and contributing to the natural ways of this planet. It contains three core tenets and twelve design principles. without a healthy earth, humans cannot flourish. • Setting limits to population and consumption: By governing our own needs, we can set resources aside to further the above principles. This includes returning waste back into the system to recycle into usefulness. The third ethic is sometimes referred to as Fair Share, which reflects that each of us should take no more than what we need before we reinvest the surplus. 1. Observe and interact: By taking time to engage with nature we can design solutions that suit our particular situation. 2. Catch and store energy: By developing systems that collect resources at peak abundance, we can use them in times of need. 3. Obtain a yield: Ensure that you are getting truly useful rewards as part of the work that you are doing. 4. Apply self-regulation and accept feedback: We need to discourage inappropriate activity to ensure that systems can continue to function well. 5. Use and value renewable resources and services: Make the best use of nature’s abundance to reduce our consumptive behavior and dependence on non-renewable resources. 6. Produce no waste: By valuing and making use of all the resources that are available to us, nothing goes to waste. 7. Design from patterns to details: By stepping back, we can observe patterns in nature and society. These can form the backbone of our designs, with the details filled in as we go. When correctly designed such a system will, like a natural ecosystem, become increasingly diverse and self-sustaining. As a mother, I feel that unless our children learn about the natural cycles of living and honor the principles of this planet we would be doing injustice to our future generations. Our kids need to know and understand the Butterfly Effect. How small actions and changes in our lifestyle can create a ripple of transformation. Understanding the bigger picture has changed my son’s views on living is an understatement. Oh, how I wished he had learned about these principles when he was younger – in school. Nevertheless, it is vital we teach kids about permaculture and the inter-connectivity of existence in schools today.